The diamond pattern in the figure's helmet indicates that the warrior depicted in this print is the 16th-century warlord Takeda Shingen. He sits on a golden cloud looking at Mount Fuji across the Miho promontory and steep mountainous coastline. 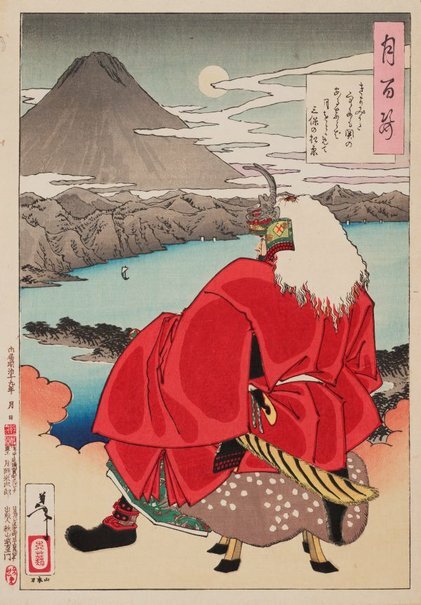 The dreamlike scene and the Miho headland, with its government checkpost, suggest the obstacles to Takeda Shingen’s lifelong quest to unify Japan in the late 16th century.